I love products that make life easier – and that could not be more true with our next featured product – Color Street Nail Polish Strips! 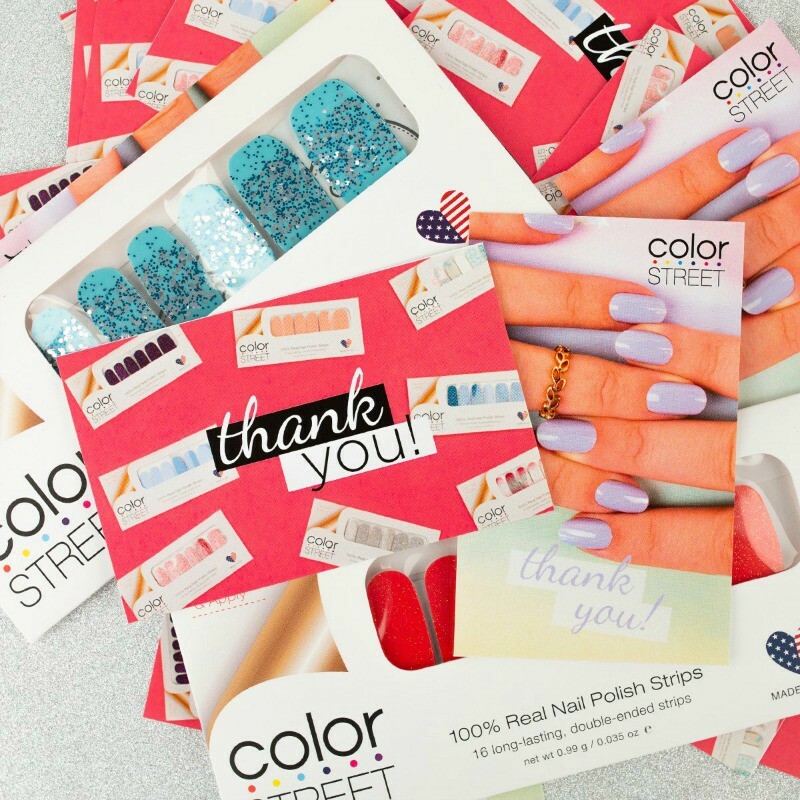 Color Street exploded on the direct sales scene less than a year ago and has shattered records in sales and recruiting with their 100% real nail polish strips in dozens of designs. 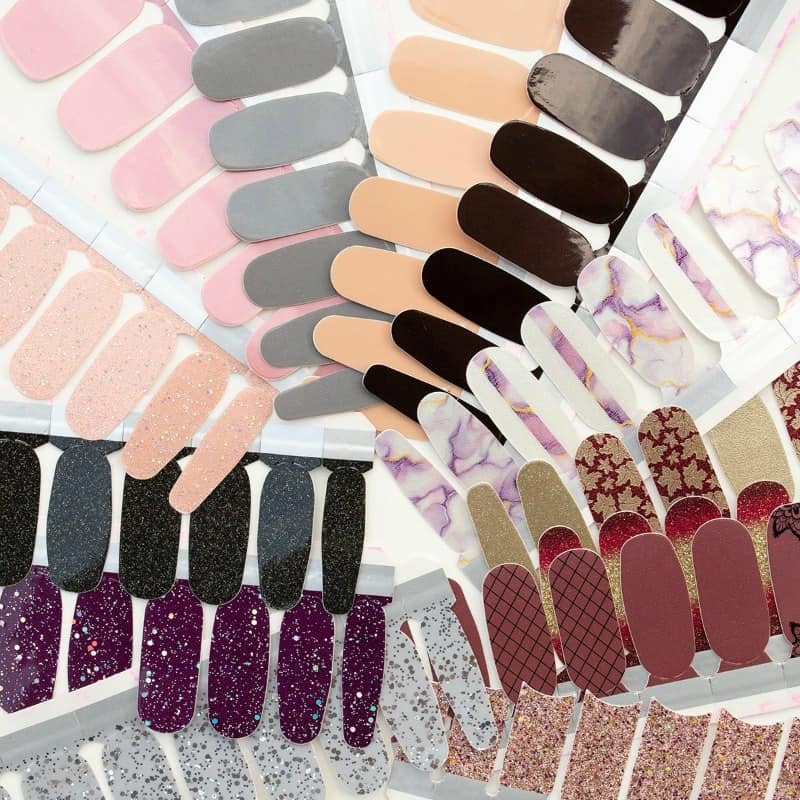 From shiny to matte to solids to glitters – Color Street Nail Polish Strips make having gorgeous salon quality nails a piece of cake. Simply choose your design from their dozens of gorgeous options, gently peel off the backing, press to your nails, and remove the excess! Voila! Since Color Street is made with real nail polish, it comes right off with nail polish remover. 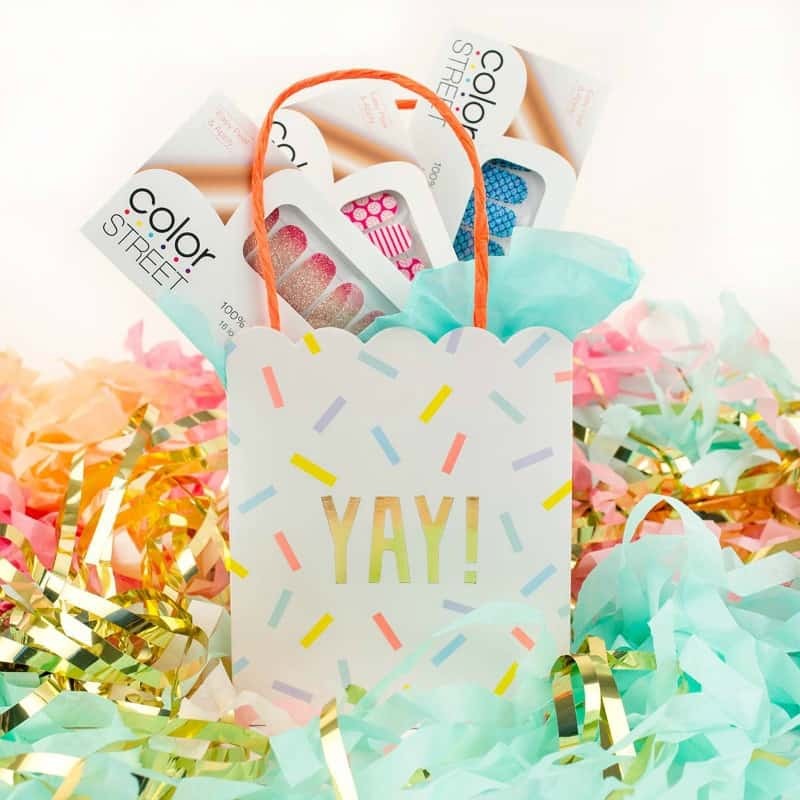 You can earn free and discounted products by hosting a Color Street Nail Bar with your friends and family! You can host a party in person or online and earn a percentage PLUS half off items of your choice. If your party qualifies you will also earn free shipping on your order! You will earn even more when your friends hold their own Nail Bars booked from yours! If you are looking for an up and coming company still at the ground floor level, then Color Street may be for you. Color Street offers a generous compensation plan with a Jump Start Rewards Program to help get you started on the right track. You simply purchase a Color Street Starter Kit which has everything you need to start your business and you are well on your way to success! Independent Color Street Consultant Angie Burden sent in this gorgeous set for inclusion in this year’s Diva Holiday Gift Guide. Color Street Style District Nail Polish Strips feature fishnet and mandala nail art in a shimmery mauve. I love this set and can not wait to wear them this fall. 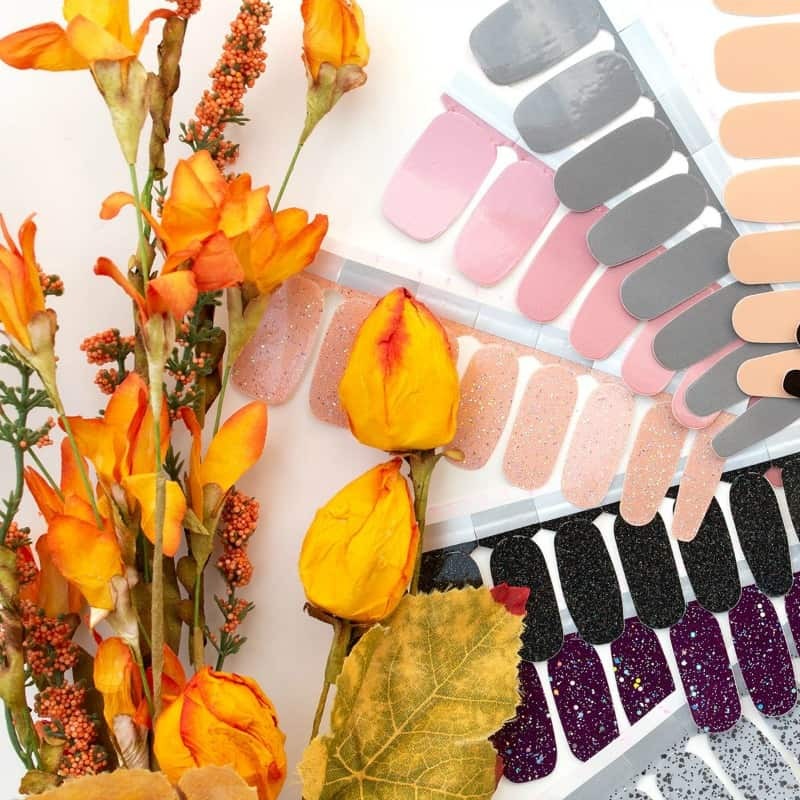 I am excited to offer one of my amazing readers your own set of Color Street Nail Polish Strips from Independent Color Street Consultant Angie Burden! You can enter using the RaffleCopter widget below! Good luck! « Initials, Inc – Sip, Sip Hooray!